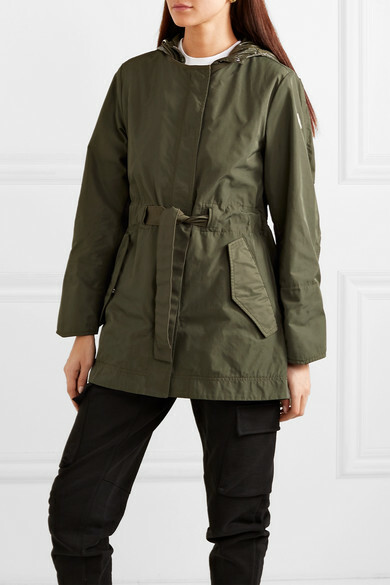 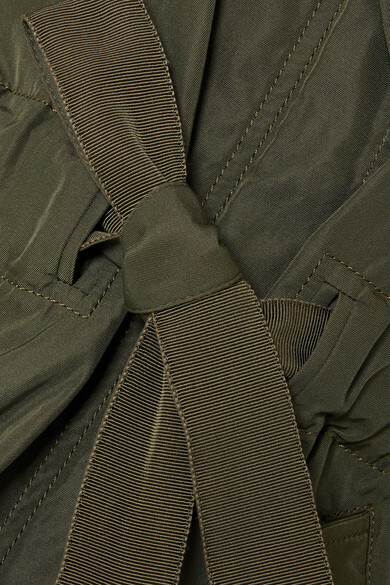 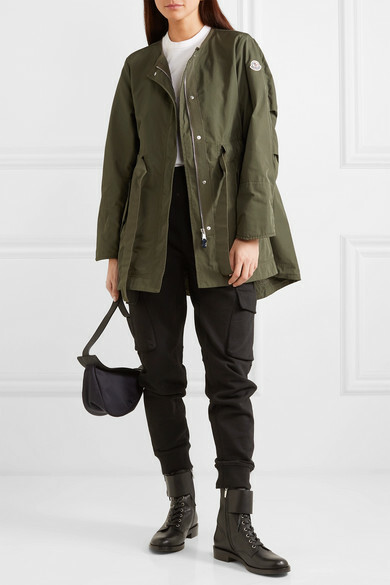 Moncler's army-green gabardine jacket is woven with touches of soft cotton and cut for a loose fit, which can be adjusted using the grosgrain ties at the waist. 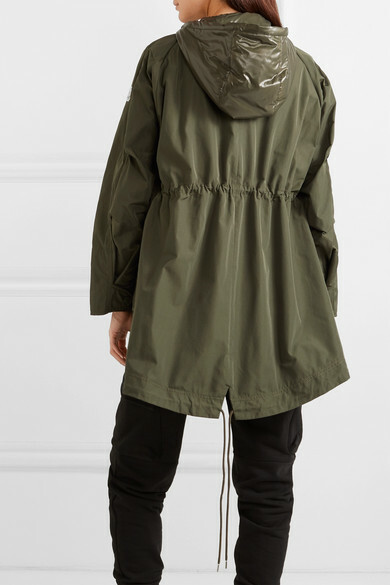 It has flexible snap-fastening cuffs and a detachable glossy shell hood. 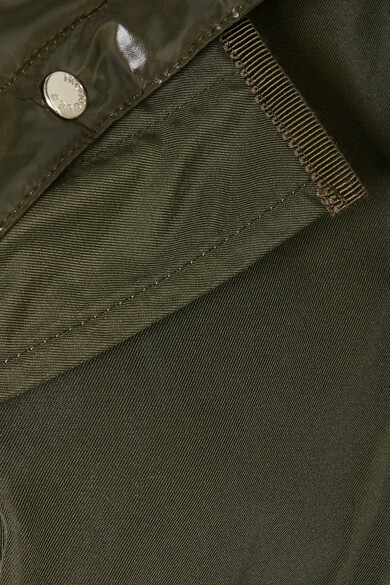 Wear it with casual outfits at the weekend or on country walks. 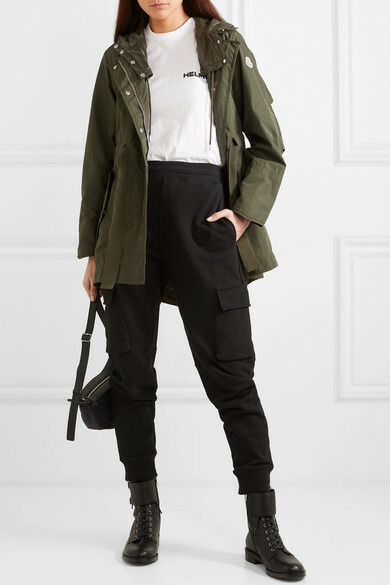 Shown here with: Helmut Lang T-shirt, Burberry Pants, The Row Shoulder bag, Gianvito Rossi Boots, Laura Lombardi Earrings.